Seiko has unveiled the Prospex Kinetic GMT Diver, featuring an updated “tuna” shrouded case and an electro-mechanical Kinetic movement with second time zone. This model is amongst the first new Prospex watches which will now be available worldwide. 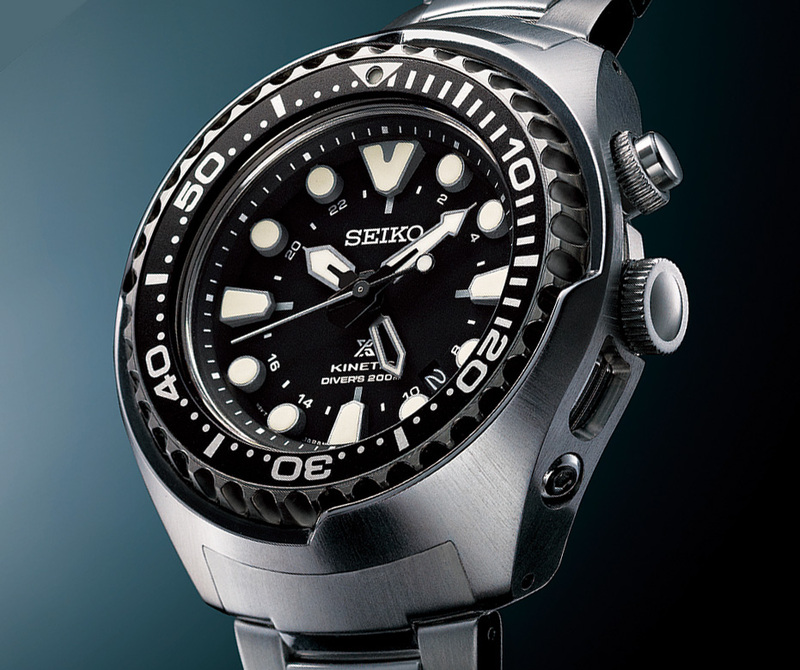 An abbreviation of “professional specification”, the Seiko Prospex line of sports watches for rigorous activities on land, in the air as well as under water. Prospex gets a new logo and goes global in 2014 – previously available only in Japan, the Prospex line will now be sold worldwide. One of the key new Prospex models presented at Baselworld 2014 is the Kinetic GMT “Tuna” Diver. 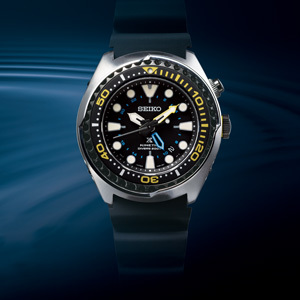 In the tradition of Seiko’s distinctive shrouded dive watches, the new Prospex Kinetic GMT Diver has a double case nicknamed “tuna” by collectors. A protective outer steel case is screwed to the inner case, giving the watch an overall diameter of 47.5 mm. For the first time the outer shroud is skeletonised, revealing the inner case. 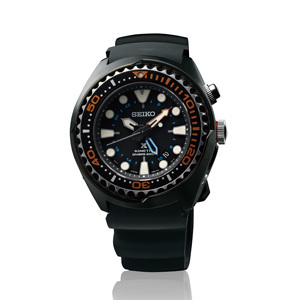 Rated to 200 m, the GMT Diver has a sapphire crystal with anti-reflective coating. This uses the Kinetic 5M85 movement, which has a GMT hand and date. It’s powered by an oscillating weight that generates a charge, which then powers the circuit that keeps the time. At full charge the watch will run for about six months, with the second hand indicating the remaining power reserve when the button at two o’clock is pushed. 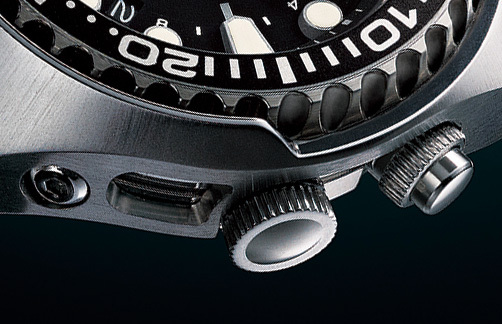 Three versions of the Prospex Kinetic GMT Diver are available. The SUN019 is in steel with a steel bracelet. Then there are the SUN021 and SUN023, both of which are on a rubber strap. The SUN021 has a steel case with a black coated bezel, and yellow dial accents. And the SUN023 has a black coated case and bezel, along with orange accents. The retail for the base model SUN019 will be €660, which is about US$908.